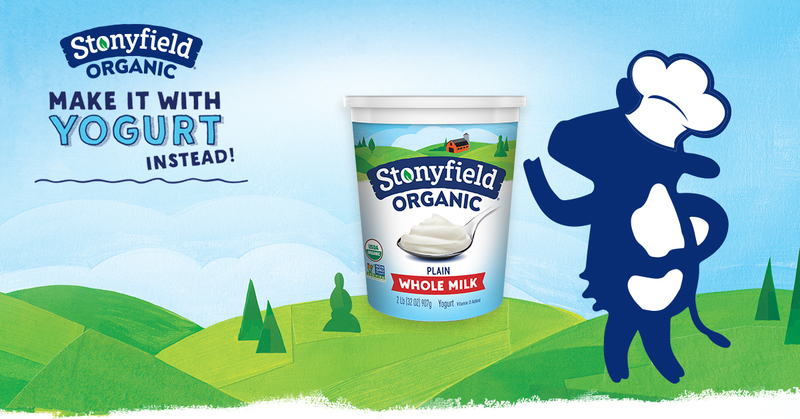 At Stonyfield, we are obsessed with making the most delicious Organic Yogurt! We also love using our yogurt as a substitute in our favorite recipes. You can use our substitution guide to make tasty dressings and desserts, creamy soups, moist baked goods and tender marinated meats. And to cut fat and calories too. #1 When adding yogurt to a hot mixture, stir a few tablespoons of the hot food into the yogurt to warm it gradually. Then stir the warmed yogurt mixture back into the hot food. This will help keep the yogurt from separating. 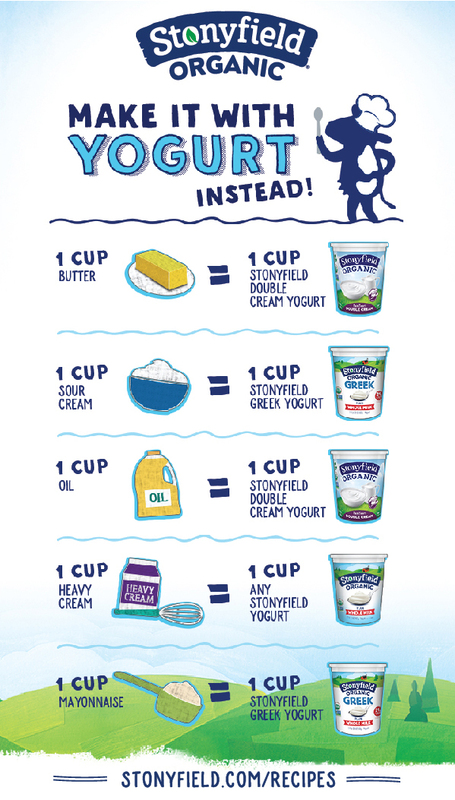 #2 When adding yogurt, stir or fold it in gently to maintain a thick and creamy texture. #3 Don’t worry—freezing yogurt has little effect on its beneficial cultures. While heating yogurt above 120° will destroy cultures, the yogurt will still provide valuable nutrients like calcium and protein. #4 To thicken up a yogurt-based salad dressing or dip, just chill it for an hour.